Well 2007 has been a time of change for Surilana with the blending of Australia’s two largest suri herds from Pinjarra and Surilana. Ian and Angela Preuss, (formally from Pinjarra) have been breeding suris for over ten years. Pinjarra was one of the first studs in Australia to incorporate and build up the number of coloured suris (colours other than white) into the Australian herd. Jill Short (who established Surilana), was one of the pioneers in the Australian suri industry. She has been committed to increasing the quality of the Australian suri herd for many years. The emphasis at Surilana has been on high quality white suris. To this end, Jill has been involved in several Peruvian importations and has personally sourced suris in Peru on a few trips over her years in the industry. Jill has been privileged to acquire some suris from the Accoyo herd, which is recognised as breeding the highest quality alpacas in Peru. Don Julio Barreda, (who has recently died), devoted his life to the breeding of high quality alpaca in his Accoyo herd, high up in the Altipalnao in Peru. The Accoyo genetics at Surilana have had a significant impact on the Surilana and Australian herd suri. In 2004, Jill, Ian and Angela, as well as two other Australian alpaca breeders embarked on a five week adventure around the high altiplano of Peru to source alpacas. The Altiplano in Peru is where the majority of alpaca breeders are situated and many parts of the Altiplano are well over 4,000 metres above sea level. As a result of the high altitude, the remoteness of the farms and the rough terrain, the sourcing of alpacas is more of an endurance event, rather than a holiday! However, even though the search for alpacas in Peru took us out of our comfort zone, it was well worth the adventure when we came across the quality stock which we were searching for. 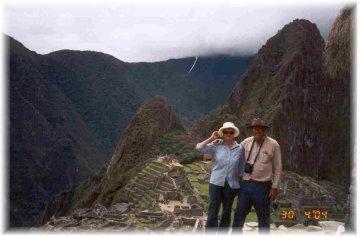 Peru is also a beautiful and amazing country and the people and culture in the remote areas are enchanting. Surilana’s motto is “Setting The Suri Standard” and that is exactly what it has achieved in recent years. In the past three years, the Supreme Champion Suri at both the Melbourne Royal and Australian National Shows have either been owned by Surilana or bred from Surilana genetics. Jill has to be congratulated on her commitment and achievements in her suri breeding program, which has allowed Surilana to achieve such success. In 2006, after all her work in pioneering the suri industry in Australia and setting Surilana as the most prominent suri stud in Australia, Jill decided that it was time to relax. Ian and Angela Preuss, who are equally passionate about suris, feel priviledged to be able to take over the reigns at Surilana. The combination of their own substantial suri herd, along with the existing Surilana suris has formed a significant suri herd, incorporating both whites and coloureds. Ian and Angela look forward to carrying the Surilana vision in to the future. For new breeders wishing to enter the suri industry, the opportunities have never been better. With the total suri population being less than 10% of the National and International Alpaca herd, the suris are still very rare and sought after. The majority of suri breeders in Australia have small herds, (under 10 suris). So there are still extensive opportunities for new breeders to enter the industry and to stamp their mark. This stud phase of the Australian alpaca industry, (especially with the increasing interest and acknowledgement from overseas breeders), is an exciting time for new suri breeders to enter the Australian suri community. Whether you don’t own land and just want suris as an investment or you own some land and want an easier care livestock with good opportunity for financial return, then suris are definitely the way to go. 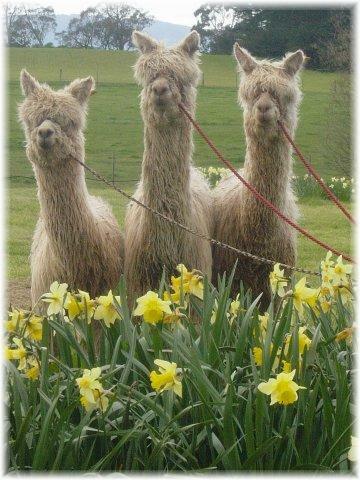 Breeding and showing suris is also an excellent way to become part of this very close knit Australian Alpaca Industry. The majority of suri breeders are situated in the southern mainland area of Australia. At present, there are relatively few suri breeders in Northern NSW, Qld, South Australia and Western Australia. Even though suris have had a presence in Australia over the past 20 years, the Australian suri industry is still in its infancy. The suri industry is in it’s “stud phase” and present suri breeders are establishing the stud stock, which will support a commercial suri fleece industry in the future. Australia is well set up to be one of the world leaders in producing a very viable future suri fleece industry. Our more benign climate, the strength of the vibrant Australian Alpaca Association and our technology has Australia well positioned to provide suris and beautiful suri products to the rest of the world. As a result of Australia’s improvement and advancement in suri breeding over recent years, overseas interest in Australian suris is high. Suris breeding in England and Europe is relatively new, compared to Australia and they are now looking to Australia to provide quality stock. Suri fleece is an exquisite natural fibre, which has unique properties which set it apart from any other fibre. When suri fleece is woven into cloth and then brushed, it produces a cloth, which has a unique, luxurious, slippery and super soft handle. When this brushed fibre is made into coats, capes etc, the drape, lustre and feel are breathtaking. 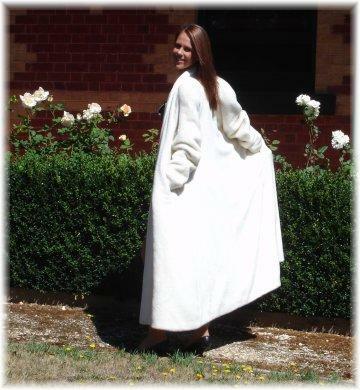 There are quite a few organisations and individuals in Australia at present who are establishing some very exciting end uses for our present supply of suri fleece. However, it will be many years before we see people running large herds of suris for commercial production of their fleece. I their ten years in the industry, Ian and Angela have seen dramatic improvement in the overall quality of suris. There is no reason to believe that this improvement will not continue to advance.